Ed has been a member of the YTF since 1987. Previously he served the YTF as Secretary/Treasurer for over 10 years. In 2007, he was named President of the organization. Ed attained state rankings as a junior player, played four years of college tennis at Western Carolina University, before entering law school, and has achieved many state rankings in the over 25, over 30 and over 35 age divisions, in addition to being a member and captain of the 5.5 USTA league championship team that has represented the State of Florida in national competitions for many years. Ed had also stayed involved with tennis as a USTA - Florida volunteer member, previously serving on the Grievance Committee, as well as the Region 3, Recreational Tennis Council. Ed and his wife, Melissa, live in Seminole, Florida, with their two children, Jacob and Blake. Pierce first became involved with the YTF as a junior player in the mid to late sixties. He has remained active in the YTF ever since. Pierce was one of the better players in the state and country as a junior, which earned him national rankings and a full scholarship to Tulane University. He later coached the varsity men's tennis team at George Washington University in Washington, D.C. to help defray his law school education. Pierce achieved a national ranking of number 46 in the United States in the men's category in 1971 and has achieved numerous national rankings in age-division play until recently when injuries have slowed his play. In 1991, Pierce authored a book, Introducing Children to the Game of Tennis, (Betterway Publications, 1991; F & W Publications, 1995; Hammerhead Publications, 2001; and iUniverse, 2006), which has been called THE perfect introduction and primer for parents of beginning players by the United States Tennis Association and Tennis Magazine. In 1995, WLRN, a PBS affiliate in Miami, produced and aired a twelve week series, which Pierce hosted and directed. The series was sponsored, in part, by Prince Sporting Goods Company. Stan Smith, Nick Bollettierri, Gary Kesl, Blaine Willenborg, Kim Sands, Paul Roettert, Bobby Curtis, Donna Fales and many other celebrities from Florida tennis circles appeared on the various shows. The program was about introducing children to the game of tennis. 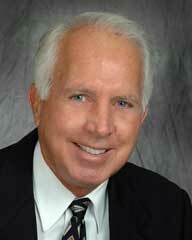 Pierce is a lawyer who currently has a private practice in Cedar Key. He is also an author and has currently published several novels, Fistfight at the L and M Saloon; A Very Fine Line; and A Plenary Indulgence, in addition to a collection of short stories, Pieces to the Puzzle, and a legal text book, Civil Litigation: A Case Study. Tug has been a member of the YTF since 1987. He has been a tennis player since a young teenager. He and Pierce Kelley met each other as young teens and the two of them have competed with and against each other ever since. Tug achieved high rankings as a junior player and played collegiately at Principia College in St. Louis, MO. Tug lives in the Ft. Myers area with his wife. He continues to play in the senior tournaments and in USTA league tournaments. He and Pierce were ranked number 1 in the state in the over 50 category not long ago and they represented the State of Florida at the national team championships in California on an over 50 league team. 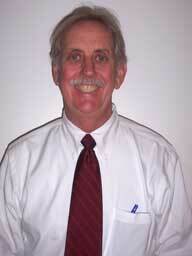 Bob has been a member of the YTF Board of Directors for over fifteen years. He played his high school tennis at Seminole High School in Pinellas County, and played briefly on the Florida Southern team, before transferring to the University of Florida, from which he received not only his Bachelor's degree but also his Juris Doctorate. Bob has achieved several state rankings over the years and continues to play and compete in league play in the Daytona Beach area, where he and his wife, Maureen, live and work, together with their two children, Jacqueline and Paige. Jeff was born in Miami, FL and raised in Altamonte Springs, FL. He attended Lyman High School (Longwood, FL), Valencia Community College (Orlando, FL, AA Degree, Athletic Scholarship), and the University of Central Florida (Orlando, FL, Psychology). He has been a member of the USPTA since 1982 and awarded USPTA District V Volunteer of the Year (1996 & 1998-99), Spectrum Award for Recreation / Individual (1996 & 1997), 15 Years of Volunteer Service Award â€“ USTA Florida Section (2003), USTA National Eve Kraft Community Service Award (2003). He has coached NCAA Div. II (Barry University, Miami Shores, FL), FHSAA (Fr. 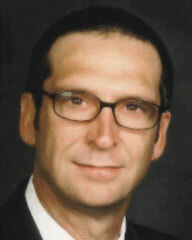 Lopez, Daytona Beach, FL), and serves as Director of the Genesis Community Program for high-risk youth (Orlando, FL). Jeff's volunteer service includes co-founding and serving as Associate Director of Delta Youth Alliance (1990-1998), founding and serving on numerous committees within the Orange Blossom Tennis Association (1992-Present), co-founding and serving as Director of the Genesis Community Program (1994-Present), Board Member and 8-term President of St. Francis House Homeless Shelter (1995-2006), USTA Florida Section Multi-cultural Participation Committee (1998-2002), Board Member of the Youth Tennis Foundation of Florida (2006-2016). Scott joined the YTF Board in 2005. He is an active member and has participated in several of the Board's most significant accomplishments across the Northern portion of Florida. Scott is an avid player, though he took the game up a little later in life than most. He was raised in New Mexico and Alabama and it wasn't until he attended the University of Alabama on a Band scholarship that he learned how to play in his senior year in college. He has been extremely active ever since as a player and organizer. He was a 1993 USTA Florida Merit Award winner and a 1993 USTA Community Service Award winner. He currently referees and umpires at ten to twelve USTA sanctioned tournaments a year including the 4 time Florida Adult Tournament of the Year Helen Drake Invitational in. His business of supplying tennis court products to clubs and facilities around the South and Florida keeps him in tune with today's players both junior and adult. Chris has been a member of the YTF Board for more than 20 years. He was a highly ranked junior player and received a scholarship to play tennis at Georgia Tech, which he did for four years together with Larry Turville, Chris Baxter, Bill Cantrell and many other Floridians. Chris is a lawyer who specializes in tax and real estate matters. He lives in Miami Shores with his wife, Stephanie, and their daughter, Sarah. Brant has been a member of the YTF Board for more than six years. He played his junior tennis in Largo and then at the University of Georgia for four years. He also competed overseas and on the Satellite Circuit and achieved a number 52 national ranking in 1970 and a world ranking in 1974. Brant is a lawyer who lives in St. Petersburg with his wife and four children. 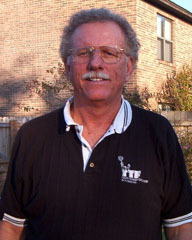 Von has been a member of the YTF Board of Directors since 1987. As a younger man, he played football and rugby and didn't take up the game of tennis until his late twenties. While at Dartmouth College, where he was captain of the Rugby team, his team was the first US team to tour Ireland and play Rugby against the Irish. Von is a retired educator. For years, he was the principal of the Coconut Grove Elementary School. He authored a book, Bilingual Education and the Miami Experience, which assisted other educators across the country in dealing with a situation where many students did not speak English as a native language. 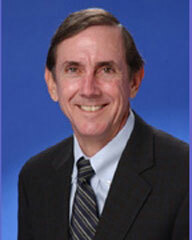 He currently serves as an academic counsellor at the Carrollton School in South Miami. 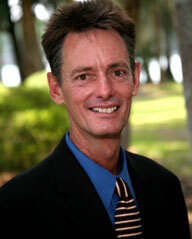 J. Webb Horton is the former as head coach of the Florida Gulf Coast University men's tennis program. Horton, who also served as head women's tennis coach and as assistant athletic director, was named the second men's coach in school history in August, 2001. 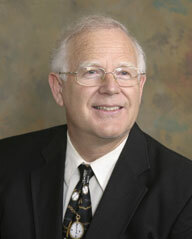 He assumed the duties of overseeing the women's tennis program in June, 2005. Horton guided the FGCU men to a 77-27 dual match record during his tenure, including two NCAA tournament berths and top-10 national rankings in the 2004-05 and 2005-06 seasons. FGCU advanced to the second round of the NCAA tournament in 2005, its first season for NCAA post-season eligibility, after posting a 19-5 record for the most wins in school history. The Eagles had posted records of 13-7, 12-3 and 17-6 in his first three seasons. Including a 16-3 mark at NKU in 2001, Horton's teams have posted a combined record of 77-24 over the past five years. Last season, Horton's Eagles finished 16-6, No. 9 in the nation, and third in the South Region. For the second season in a row, the Eagles received a NCAA Tournament bid in 2006. A 1970 graduate of Edinboro State University, Horton was the head women's tennis coach and coordinator of Diversity Outreach at Northern Kentucky University in 2000-01, where he also served as coordinator of Diversity Outreach and was named conference Coach of the Year. He was also the head coach for men's and women's tennis at Indiana University-Purdue at Fort Wayne from 1996-00, where he also served as an admissions counselor, and spent four seasons as the head coach for women's tennis at the University of Saint Francis in Fort Wayne, Indiana. Under his direction, FGCU hosted the 2004 Intercollegiate Tennis Association national singles championships for men and women in Division II, Division III, NAIA and junior college divisions. In addition to his coaching duties, Horton also coordinates the community relations effort of the FGCU athletic department. Through partnerships with area schools, the Eagles Math Program and Elementary Reading Program have touched the lives of over 10,000 elementary school children in the last three years. 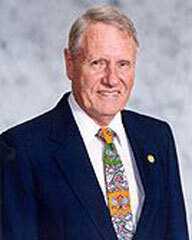 Horton was selected as national winner of the United States Tennis Association / Intercollegiate Tennis Association Community Service Award in 2004. The award honored Horton for his significant contributions to developing community-based tennis program in Southwest Florida. He has assisted with the USTA's First Serve Program, which benefits at-risk minority children (ages 4-14); the 2004 USA Deaf Tennis Olympic Trials; the Lee County Community Tennis Association's (LCCTA) USA Tennis Month Rally; USA School Tennis Carnivals; "Tennis on the Move" events to encourage recreational tennis participation; and a USA Team Tennis Rallyball Event for area children. 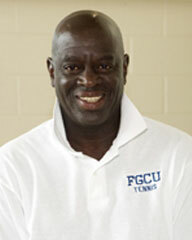 Horton, who resides in Fort Myers, serves on the Board of Directors for the Lee County Community Tennis Association and is a member of the USA Tennis Florida Diversity Task Force. J.Webb also serves as the current chairperson of the YTF Collegiate Bedford Cups. Allan has been a member of the YTF for more than twenty years. Allan played tennis in high school and played briefly on the Satellite Circuit but he was and is a long distance runner. In fact, he was one of the best runners in the State in high school and had ambitions to compete in the Olympics while at Duke, but injuries sidelined him. He has run several marathons, most notably "The" Boston Marathon on several occasions. 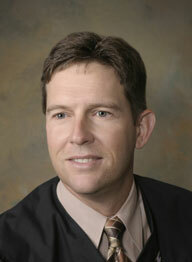 Allan is a lawyer, specializing in Maritime Law, and is a partner with the Miami law firm of Fowler, White. He is a member of the Board of Directors of the Maritime Law Association and a past president of the Florida Admiralty Committee of the Florida Bar Association. Allan and his wife, Kathleen, have six children and they live in Miami Shores. He remains an excellent tennis player and continues to play in league competitions when time permits. Nancy joined the YTF Board of Directors in 2006. The native West Virginian came to Florida in 1973 after she earned her BS degree from WVU and her Masterâ€™s from University of Maryland. Married to David since 1968, the couple has three adult children and their spouses, seven granddaughters and two grandsons. 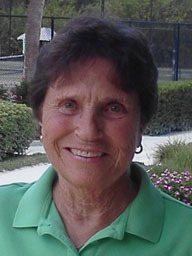 Nancy was a tennis instructor 19 years, PTR certified; a lifetime USTA member; USTA Florida volunteer since 1983, including serving as president 2001-2002 and inducted to its Hall of Fame in 2006; recipient of various state awards and the national Community Service Award in 1995; involved at the USTA national level 1994-2008; president of local CTA (Suncoast Tennis Foundation) three 2-year terms. In addition, Nancy has been a freelance writer since 1983 and often appears in Florida Tennis statewide magazine. From 1986-2008, Nancy was a sports correspondent for the former St. Petersburg Times (now Tampa Bay Times) covering local tennis, youth sports and athlete updates on Tampa Bay area high school graduates. Sue Parsons Zipay has been actively involved in all aspects of tennis for over 40 years, from teaching, to organizing leagues and tournaments, to retail, to tennis club owner. Born and raised in Hingham, Massachusetts, Sue played professional baseball after high school for the "Rockford Peaches", part of the All American Girls Professional Baseball League, and, had an appearance in the 1992 Penny Marshall movie "A League Of Their Own". She was inducted into the Baseball Hall of Fame in Cooperstown, NY in 1989 and the Hingham High School Athletic Hall of Fame in 2007. As the mother of three young children, Sue began playing tennis in the 70s. 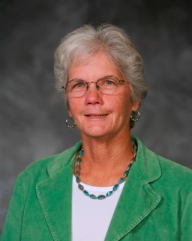 After attending Jack Barnaby's tennis instruction course at Harvard and Vic Braden's tennis college in California, Sue began her tennis teaching career in 1973 as Assistant Manager and teaching pro at Pilgrim Tennis Club in Kingston, MA. As a player, Sue achieved New England and national rankings in the 40+ division. She later established a tennis specialty shop on Cape Cod and became the first USRSA stringer in Massachusetts. A Florida resident since 1987 Sue presently lives in Englewood, where she and her son, Bob, have co-owned the Englewood Tennis Club since 1989. She was the FTA League Coordinator for USTA Junior Team Tennis in Region 5 prior to assuming the role of League Director for Team Tennis Junior League in Manatee, Sarasota, & Charlotte counties (MSC). After funds were cut for middle school tennis is Sarasota county, working with USPTA pros and private facilities, she created a middle school league to fill the gap. Sue has served as a Board member for the All American Girls Professional Baseball League Association, Chairman of the Recreation Commission in Marshfield, MA. and President of the Placida Harbour Condominium Association in FL. She has three grown children, all presently residing in Florida, and six grandchildren. Benjamin Zipay of Osprey, the youngest, is a current ranked USTA tournament player. Read about Sue's path to tennis in a Florida Tennis News article here. Bobby has been an integral part of the Youth Tennis Foundation of almost 40 years. 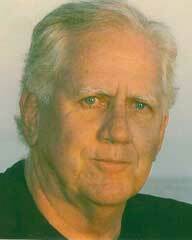 He first became involved with the YTF in the early 70s while he was the director of tennis at Moore Park in Miami. He hosted the first 14 and under State Youth Team Tennis Tournament in 1977 and was one of the first Regional Directors of the YTF. In 1979 he became the state-wide co-ordinator of the YTF, which was a full-time position. 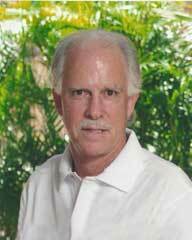 The Florida Tennis Association (now USTA-FL) hired him to become the Director of Junior Tennis in the early 80s but Bobby remained active with the YTF until the late 80s, when the FTA took over operation of the Youth Team Tennis program (re-naming it Junior Team Tennis). Bobby regularly attends the YTF meetings and provides sage advice to our Board of Directors regarding our planned activities, as well as historical facts and anecdotes. Read here about how Bobby Curtis was honored for his 30 years of service to USTA-FL. Michael joined the YTF Board in 2017. Picture and bio coming soon.